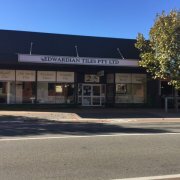 Edwardian Tiles is a Boutique Specialist Tile Company that endevours to offer outstanding quality and design at a reasonable price. 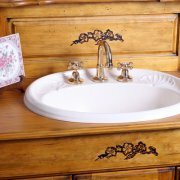 We have a large range of clawfoot baths, vanities, bathroom furniture, mirrors and tapware. 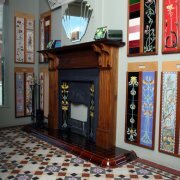 Tessellated floors for Verandah's, Walkways and Alfresco areas are our speciality and our service includes the design of patterns made to order. 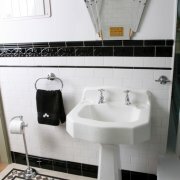 Edwardian Tiles can cater for all budgets and tastes from first Home Buyers to Renovators and Project Builders. 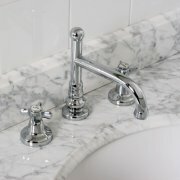 Our staff are professional and because we run a family business, we pay particular attention to personal service, where no detail or request is too small or insignificant to receive our attention. We endeavour to create for all our clients, their dreams at a price that will not only satisfy, but will also be the envy of their neighbours.